In April 2016, a Miami dump truck driver fell asleep behind the wheel. He was traveling over 60 miles per hour when he crashed into a stopped taxicab, killing one person and instigating an 11-car crash near Marlins Park. The driver did not face criminal charges, but he was fired from his job. In October 2016, a 22-year-old semi-truck driver fell asleep while traveling on Interstate 95 in Lake Worth. He crashed into a concrete barrier and flipped his vehicle, closing all southbound lanes for seven hours. He sustained minor injuries in the accident and was cited for careless driving. Luckily no one else was hurt. The National Highway Traffic Safety Administration estimated that 72,000 crashes were caused by drowsy driving in 2013. Those crashes resulted in 44,000 injuries and 800 fatalities. 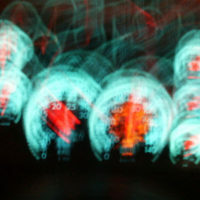 Drowsy driving is also a local problem, according to the Florida Department of Highway Safety and Motor Vehicles. In 2015, there were 4,386 drowsy driving accidents, more than 1,000 injuries and 23 fatalities across the state. In 2008, an 8-year-old girl was killed when a drowsy driver crashed into her school bus. In honor of this little girl, the state legislature designated the first week in September as Drowsy Driving Prevention Week. According to the federal Centers for Disease Control and Prevention (CDC), sleepy drivers have a slower reaction time, which means they might not brake or swerve in time to avoid a hazardous condition. Drowsiness also affects decisionmaking and makes it more difficult to pay attention to the road. Commercial truck drivers, people who use medications that make them sleepy, and workers on the night shift are especially prone to drowsy driving. If you find yourself nodding off then get off the road! Avoid taking medications that make you sleepy. If you must take these meds, then don’t get behind the wheel. Don’t drink and drive. Even if you’re not drunk, alcohol can make you sleepy. Take plenty of breaks on long drives. Don’t drive if you’ve been awake for 24 or more hours. Take turns driving if there is more than one driving-age person in the vehicle. Contact a Fort Lauderdale personal injury attorney at The Pendas Law Firm today for a free consultation if you have been injured by a drowsy driver. The Pendas Law Firm also represents clients in the Tampa, Orlando, Miami, West Palm Beach, Jacksonville, Fort Myers, Daytona Beach and Bradenton areas.